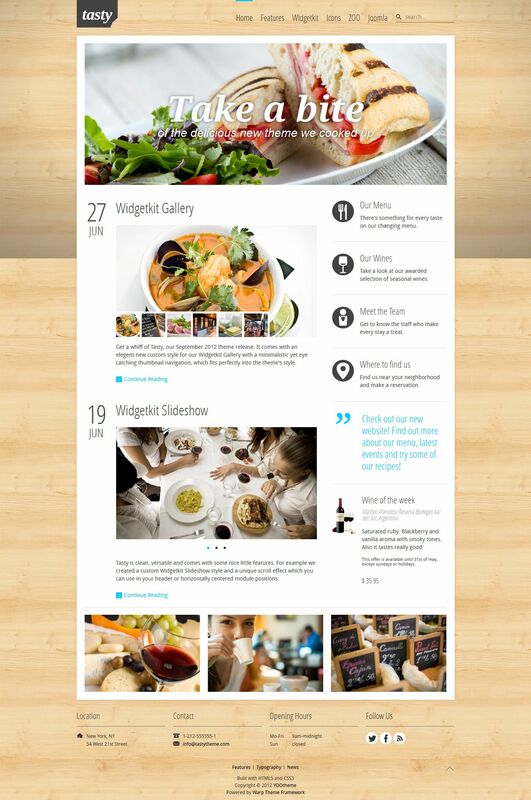 YT Tasty - new universal template for CMS Joomla 2.5, developed by the developers of the popular studio YooTheme. Stylish and modern design layout contains 8 variations of color registration, supports 9 backgrounds and 15 fonts. Developers have introduced a new tool scrolling images of announcements and articles, which offers a new way to display information on the site. Also developed new styles appropriate site design for 2 widgets Gallery and Slideshow, forming part of the universal assembly component Widgetkit. An updated version of the Warp 6.2, support for the display on various mobile devices, optimized code files, and fast page loading speed.